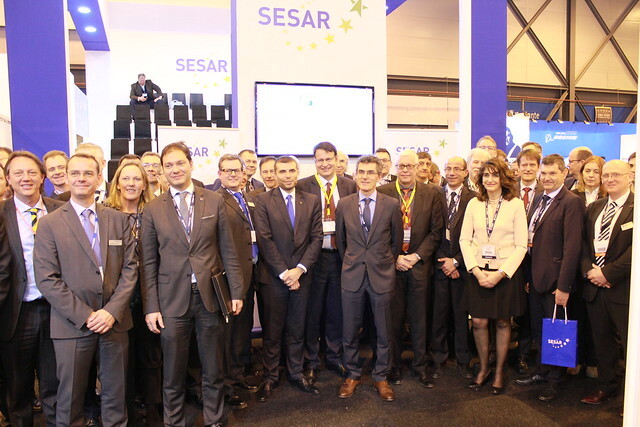 The SESAR Joint Undertaking (SESAR JU) has announced the 19 members that will participate in the industrial research, validation and demonstration activities of SESAR 2020, the next wave of the European ATM research and innovation (R&I). The SESAR 2020 membership will be composed of the current SESAR members complimented by additional members and their supporting entities. The renewed SESAR JU membership brings together over 100 separate organisations with a European and Global presence from across the full scope of ATM research to the ongoing SESAR development. The renewed SESAR JU Membership and capabilities will allow for a continuity of work, as well as a fresh impetus to SESAR’s industrial R&I activities. The expansion of the SESAR JU membership also reflects the growing confidence and commitment to SESAR‘s approach to ATM modernisation and further reinforces the link to deployment. COOPANS Consortium: a consortium developed from NORACON in SESAR 1, bringing together the five service providers, Naviair, Croatia Control, Irish Aviation Authority (IAA), Luftfartsverket (LFV) and Austro Control. AT-One Consortium: a consortium bringing together the German Aerospace Center, DLR and the National Aerospace Centre, NLR. B4 Consortium: a consortium bringing together the four service providers of Poland, Lithuania, the Czech Republic and Slovakia. Skyguide, Swiss Civil and Military Air Navigation Services Ltd.
Building on the results of the first R&I programme, SESAR 2020 members will focus on areas of the ATM value chain where the greatest performance gains can be achieved. These areas address the need to better integrate airports into ATM, develop further advanced air traffic services, and optimise network services and the enabling the necessary infrastructure. The SESAR 2020 industrial activities will benefit from a contribution of EUR 500 million from the European Union’s Horizon 2020 research and innovation programme. “Thanks to SESAR, we are developing and deploying cutting-edge operations and technologies for European and global aviation. We all know that a top-notch ATM system is vital for the achievement of the Single European Sky, and SESAR research and innovation projects are vital to reach that objective. I am confident that with a renewed and evolved partnership, the SESAR 2020 work programme will deliver even more outstanding and timely results than before and drive our ambitious agenda forward,” says Henrik Hololei, Director General, DG MOVE, and Chair of the SESAR JU Administrative Board. The two Founding Members coming from the SESAR Joint Undertaking founding Regulation are the European Union and Eurocontrol, as defined in Article 1 of the Statutes of the SESAR JU.